I’m learning I have a love/semi-hate relationship with teddy coats. While I love them because they are so cozy and warm; they are definitely a no-go when it comes to wanting to pack them for travel. They basically take up your entire suitcase. I guess that’s the case with most winter coats but can’t a girl want to look cute and warm when she’s out of town as well?! Oh well, I’ll save my cute coats for when I’m at home. I wanted to bring this coat to Vegas because I knew it was going to be a bit chilly but I opted to leave it at home so I could bring more outfits and ultimately just decided to freeze. 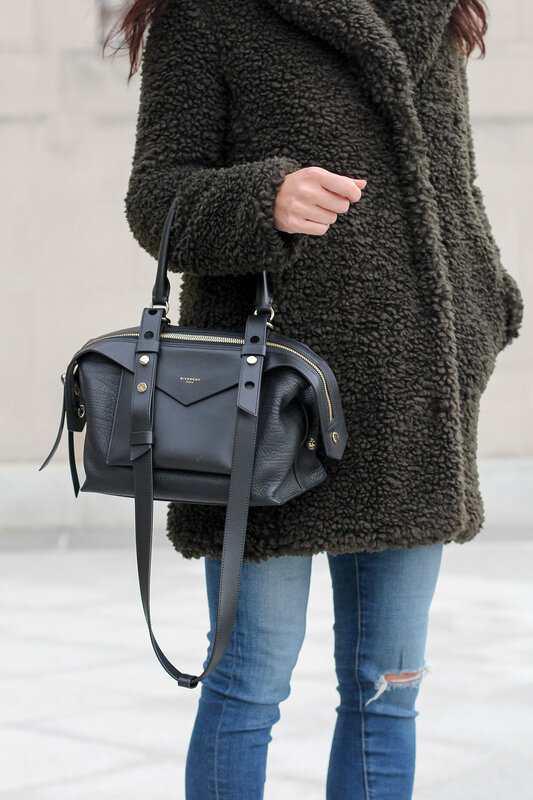 I know this teddy coat trend has been gaining in popularity and I’m totally okay with that. My winter coats have been pretty structured, formal, and basic. I’ve always had a black wool pea coat or standard wool button front coat. These are very adult coats and I feel way too formal when I wear them. So adding a textured coat has been a fun way to make my outfit and overall look feel more stylish and well, "on trend.” I try to avoid the “trendy” items because, typically they aren’t timeless, but I think a good coat never goes out of style.